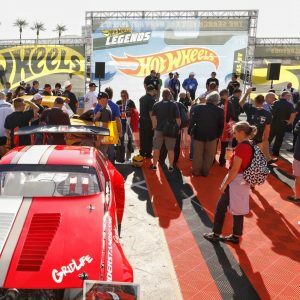 Crowd at Hot Wheels Car Care/Keystone Distribution announcement at SEMA 2018. 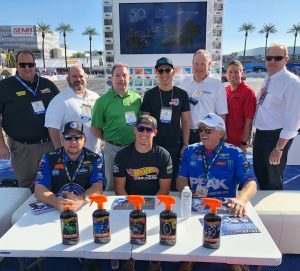 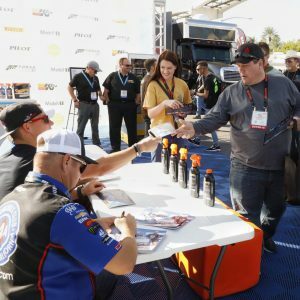 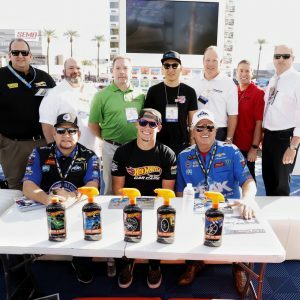 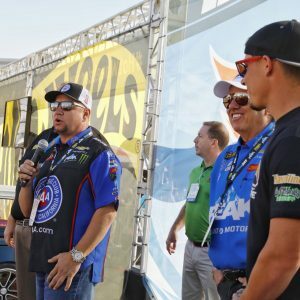 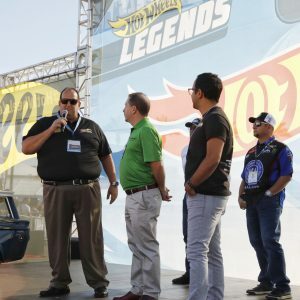 Racer Robert Hight talks at Hot Wheels Car Care/Keystone Distribution announcement at SEMA 2018. 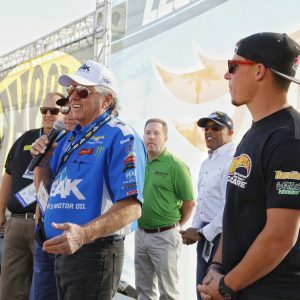 Racer John Force rallies the crowd at Hot Wheels Car Care/Keystone Distribution announcement at SEMA 2018. 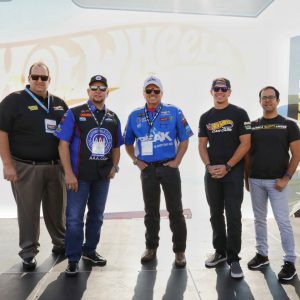 Racer Alex Laughlin at the Hot Wheels Car Care/Keystone Distribution announcement at SEMA 2018. 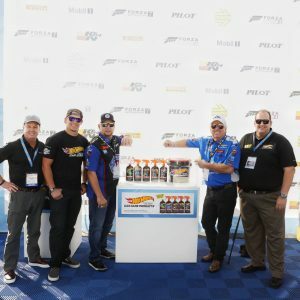 Hot Wheels Car Care team at Keystone’s Hot Wheels Car Care distribution announcement.